Mystery Lovers' Kitchen: Welcome our guest Miranda James!!!! Welcome our guest Miranda James!!!! Most Southern women of a certain age have a favorite cookbook, box of recipes, or an index in their heads of easy, tried-and-true recipes for most occasions. For my father’s two sisters, it was caramel cake. For my mother, lemon icebox pie. My paternal grandmother made the best homemade ice cream I’ve ever tasted. One of my mother’s sisters several years ago shared a recipe for cookies that’s fast and easy. There are different types of skillet cookies, but the one constant is that they are cooked in a cast-iron skillet. Some are a single large cookie that fills the skillet, others are smaller, individual cookies like those in my aunt’s recipe. I can attest that they are delicious, and I suspect that it won’t be long before they pop up in my new “Southern Ladies” mystery series. Though the two main characters, Miss An’gel and Miss Dickce Ducote, rely heavily on the assistance of their long-time housekeeper, Clementine. Miss An’gel and Miss Dickce Ducote, two of the most prominent citizens in Athena, Mississippi, had their debut in Out of Circulation. I had so much fun writing them that I couldn’t let go of the characters. They kept talking to me, insisting they should have their own series, and I had to give in. Thus the “Southern Ladies” series was born. These two fictional characters are based, in large part, on two real sisters who share their names. The real sisters are much younger and are both married with children. I had fun imagining, however, what Miss An’gel and Miss Dickce would be like, though, if they’d never married, were wealthy, and had a knack for running things like charities, committees, and the social activities in a small Southern town. They make their debut as detectives in Bless Her Dead Little Heart. Melt margarine in skillet (iron, preferably), stir in sugar, egg, dates, and pecans. Cook over low heat until thick – about 12 minutes. Remove from heat, let cool slightly until it can be handled. Stir in rice cereal and vanilla. 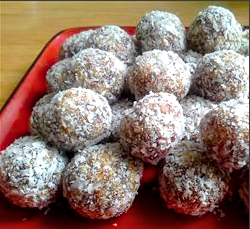 Roll cookies in small balls, then roll in coconut. 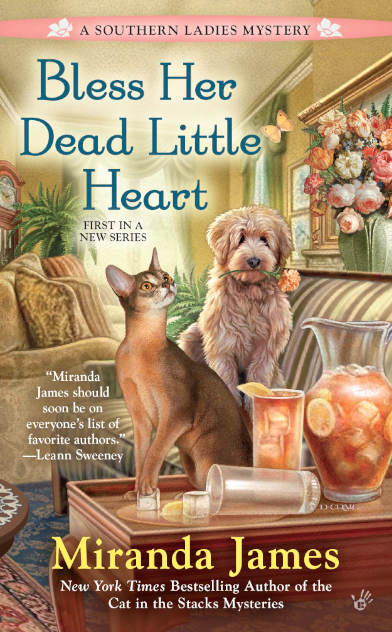 Today, Miranda/Dean is giving away a copy of BLESS HER DEAD LITTLE HEART to one lucky commenter! Remember to leave your email address so we can contact you and tell you! I love Miranda James' books and her memorable characters in each of them. It is hard to wait until the next book comes out. Thanks for this wonderful interview. I pre-ordered this book months ago because I have loved all the Miranda/Dean books over the years. I love reading dean's series! Can't wait to start this one. Thanks for the cookies recipe and giveaway. I love the Cat in the Stacks series and Miss An'gel and Miss Dickce are definitely two of the more memorable characters from that series. I was so thrilled to see that we'd get the chance to get to know them better in their own series! Looking forward to reading Bless Her Dead Little Heart. Thanks for the recipe and the chance to win. I'm not a Southern lady, but I love my cast iron skillets, and those cookies look like they'd be fun to make and eat. Thanks for sharing how you created your characters for Southern Ladies series. 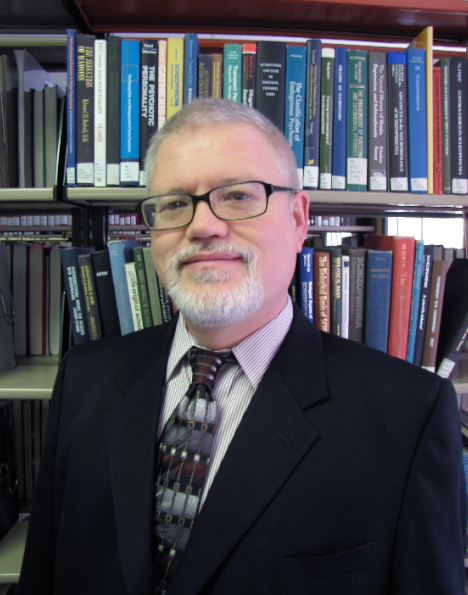 Welcome, Dean! And best of luck with the new series (which should be a hit). I've never heard of skillet cookies--I'll have to try these. Welcome back to the kitchen, Dean/Miranda! You have blessed our little lives with your talent, and we thank you. Marc and I are looking forward to your Southern Ladies series and wish you the very best for what's sure to be another stellar debut! This cover has to be one of the prettiest I've seen! I have a copy of "Bless Her Dead Little Heart" coming. Don't count me in the giveaway. Just wanted to send my congrats! I have family recipes in a falling apart looseleaf book, a big plastic box and now in digital format on both external hard drives (belt and suspenders). I'm not even a Southern woman but it's still, true, I have my old favorite go-to recipes on index cards or scraps of paper, little notebooks. Never heard of skillet cookies, though. Will definitely have to try that. Miss An’gel and Miss Dickce sound like the sisters in a family my mother was friends with. I love the cat in the stacks series and I can't wait to read this new book! This Northern woman also has my favorite cookbooks and several go to recipes in my head. I think I'll add the cookie recipe to a favorites list---dates and pecans are 2 of my favorite things. Thanks for the contest--I'd love to win this book.